I’ve been writing on the Internet for a long time. John and I started our first online business in 1995 just a year after we’d met so we’ve been doing this a long time. We frequently get asked for tips on getting noticed, achieving authority, building a community and even how to come across as an expert. I would never call myself an expert but I do have experience and I suppose some confidence that’s come as a result of that experience. I see SO many blog posts with articles that look like they copied directly from a fifth grade school book. Nothing is more boring to read. Put some personality in there, folks, otherwise why would we bother to read your stuff. 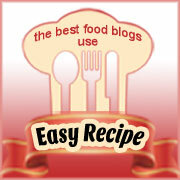 I’m often given guest posts for my food blog from PR companies, SEO marketers and others and I read them and cringe. When I read a post I want to *feel* something. Make me happy, make me hungry, make me sad, make me angry – just make me SOMETHING. Make your posts easy to read. It can be tough to read a lot of text, paragraph after paragraph on a screen. Research has proven that faced with a complete page of text, 90% of people will move on. It’s tough to read and nobody wants to follow along with their finger. What’s worse is a paragraph of text that goes for more than a couple of sentences. We’ve all seen them and groaned and thought, “it’s difficult to follow, forget it.” It’s okay to break up a long paragraph even if your high school grammar teacher would cringe. It’s much better to be read than to be correct. Use photos in your posts. Tease me with good photos. We love eye candy and the use of photos in your post also helps to break up the text and make your posts look easy to read. If you have a food blog, take a class in photography or food styling. If you have a blog about cars, take the best photos you can. DON’T pinch photos off the net and assume that it’s okay to use them. It’s NEVER okay to use someone else’s photos. Why would they take photos for you? They don’t. The only time I can see that it would be okay is a meme on Facebook or Twitter where the creator really wants the photo to get around virally. A blog that gets updated in a timely manner quickly builds a community. I really want to blog every day and once I can do this full time, that’s my goal. Until then I will update at least twice a week. Anyone can update twice a week and your readers will appreciate your effort. 500 words should be your goal. 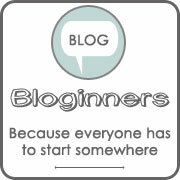 It’s wonderful if you can write a blog post of 2500 words but honestly, few people will read that much on a blog. When people surf the net they hit the big waves and move on to the next one. The first 500 words of your post will get read and the rest will tumble to the floor like scrabble words. Have I ever broken this rule? Yes, several times so there are always exceptions. I’ve done food writer interviews filled with the story, photographs and recipes that went far too long. I couldn’t find a good stopping point and there was no way to break it up into several posts so I went with it with no problems. The photos make a difference.